On Tuesday my friend Lora took me out to lunch at Durham's new favorite bakery, Scratch. The place, run by "pie queen" Phoebe Lawless, has been getting a lot of props lately, from the New York Times, Travel and Leisure, and Bon Appetit. Plus our friends Emily and Whitney work there, and we've been fans of Scratch's stand at the Durham Farmers' Market for a while now. The cafe is bright and clean, with mustard yellow and aquamarine walls, and cute chalkboard signs penned by Emily. The pie case is extensive, and the lunch menu, which features numerous savory pies, as well as soup, salad and sandwiches, is just as tempting. Lora and I both ordered the pepper and hominy soup-- she had hers with a fried baloney sandwich, and I went for the hot pimento cheese sandwich. 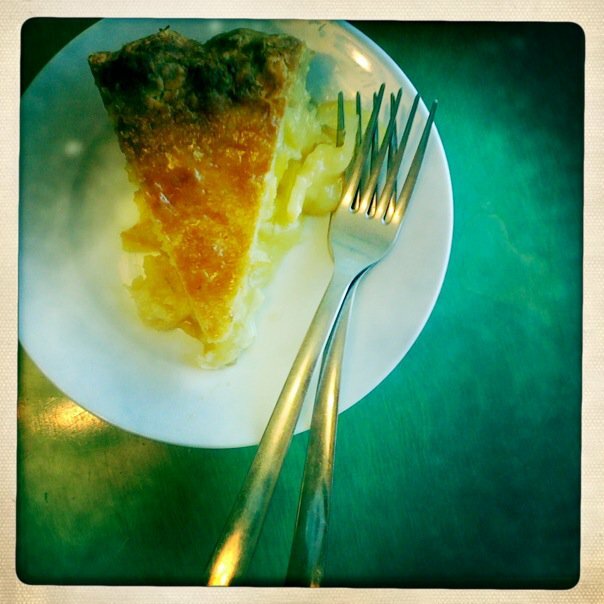 By the time we were finished, we were both really full, so we decided to split a piece of the Shaker Lemon pie. It was a double crust number, with real lemon rinds inside. And WOW, it might just be my new favorite. The lemon rinds give the filling a bitter, almost marmalade taste, along with the tartness of lemon and sweetness of sugar, all encased in a butter crust. I haven't tried my hand at baking one yet, but I think I might have to make it for my family's Christmas dinner this year. This recipe from smitten kitchen seems close to the one we tried. 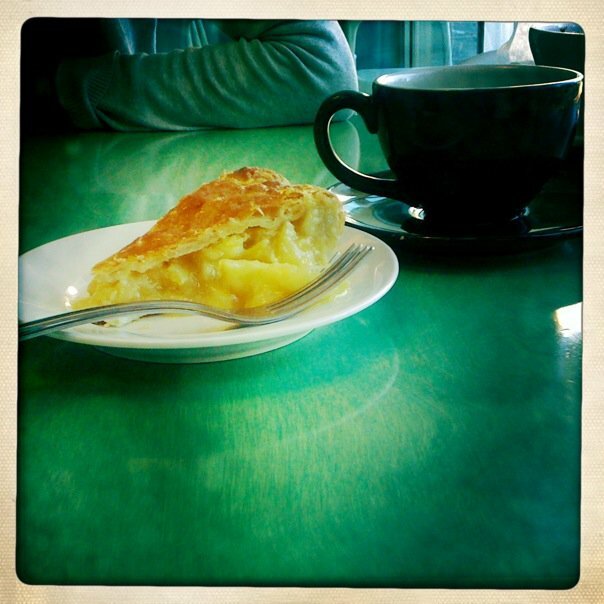 I can't wait for my next trip to Scratch to try the turnip crostada, chocolate sea salt tart, or chess pie. This is not the last you will hear about the place here, I'm sure! I love their doughnut muffins! Everything I've had there is just so good.